Eliminate a lifelong dependence on prescription glasses or contact lenses with LASIK laser vision correction. Restore clear vision and focusing power after cataracts with the advanced form of laser cataract surgery. Reverse age-related loss of reading vision through implantable contact lenses, monovision LASIK or NearVision CK. Enjoy a refreshed, rejuvenated facial appearance, thanks to our selection of cosmetic enhancement treatments. 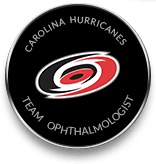 Want to improve your vision with the top ophthalmologists and eye surgeons in Raleigh? Imagine seeing your world in high definition with improved night vision. It’s not easy to find the best Raleigh, NC ophthalmology group. But at the Laser Eye Center of Carolina we are known for having the best ophthalmologists and eye doctors in Raleigh & Durham. Genuine iLASIK at the Laser Eye Center of Carolina can make it possible. At Laser Eye Center of Carolina, we have one goal: giving you excellent vision with the attentive, personal care you expect. 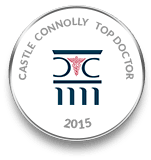 We pride ourselves on quality surgical outcomes and exceptional visual results. Our commitment to providing the highest quality surgical treatments has helped us become renowned as foremost LASIK eye surgery, cataracts and phakic IOLs specialists. 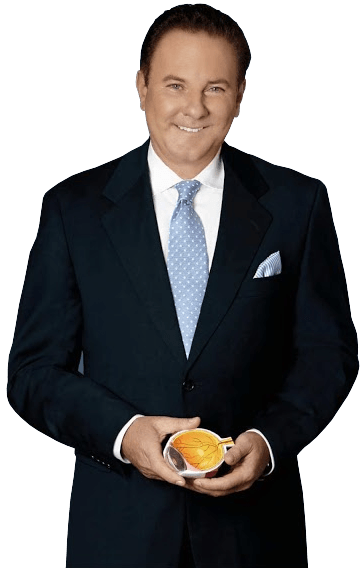 Having performed thousands of successful LASIK procedures, phakic IOL implantations, cataracts treatments and PRK procedures, Dr. Dornic is one of Carolina’s most experienced and qualified refractive surgeons. He is a board certified, fellowship-trained, vision correction specialist dedicated to the highest standards in ophthalmic surgery. His reviews are the top of the line. An experienced surgeon, FDA-approved state-of-the-art technology, a thorough evaluation process, and first class patient care reduce the chance for complications, improve overall results and increase confidence of our Raleigh and Durham LASIK patients. You will benefit by being personally examined and counseled by Dr. Dornic before being scheduled for your LASIK or other vision correction procedure. Also, because we are more than just a LASIK center, you can be assured that you will be receiving the procedure that is most appropriate for you. Our ophthalmologists in Raleigh & Durham are known for giving the best quality care to our patients. 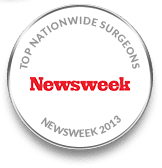 This is why we are known for being the best lasik surgeons in Raleigh, NC. Feel free to look at our lasik eye surgery reviews in Raleigh and Durham. Everyone claims to have the best technology but what matters are results. We offer vision correction technology proven to be the safest with the highest rate of success. IntraLase is a revolutionary evolution of the LASIK procedure that utilizes a laser, rather than a blade, to create the LASIK flap. CustomVue technology offered by Laser Eye Center of Carolina boasts the highest rate of 20/20 vision ever reported to the FDA. The VISX S4-IR laser utilizes a state-of-the-art eye tracking system, iris registration and Wavefront technology for added safety and increased precision. We invite our Durham and Raleigh LASIK patients to learn more about our advanced technologies and why they should not settle for other, inferior techniques by visiting our LASIK page. Extensively trained, our staff are warm and friendly people who have a clear focus on personalized care and patient education. In addition, our surgical coordinator is available every day to answer all of your questions. Dr. Dornic is the first Raleigh / Durham laser eye surgery specialist to perform LASIK with IntraLase®, an exciting advance in LASIK technology that utilizes a laser rather than a metal blade to make the LASIK flap. He is also the first area ophthalmologist to provide implantable contact lenses. 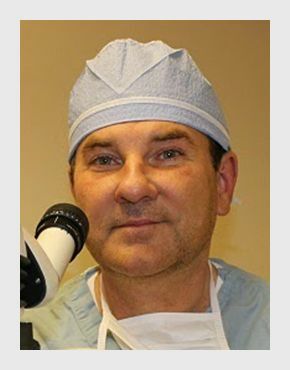 Dr. Dornic has lectured at international meetings and trained several other surgeons on LASIK. He is an active member of the medical staff at Rex Health Care Center, WakeMed Cary Hospital and Johnston Health. Many doctors and other health care providers have made Dr. Dornic their choice for vision correction and are enjoying a life free of glasses and contacts. As you consider vision correction such as LASIK in Raleigh and Durham, you can be confident in our commitment to be there every step of the way to make the process comfortable, and above all, successful. Dr. Dean Dornic serves patients at both his Cary, NC and Smithfield, NC locations.